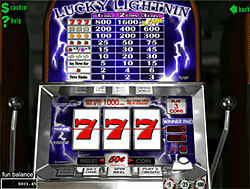 Modern slots have the specific terms that are to be known to each gambler. There even exists a special slots glossary for those, who want to get acquainted with the modern slots terminology. It is considered to be the feature of the certain theme of the game. Slot bonus is activated in the case, when certain number of symbols is lined up in the winning combination. Traditionally, the bounces are dependable on the particular game. Some rounds of bonuses may be the free spins of the special session with various or modified winning combination set as the main slot game and also with the credit values heightened by means of the multiplier displayed on the screen as an animation\ graphics bonus. It is the top slot machine light. Traditionally, it is switched if the change is necessary, hand pay request or any other potential shortcoming occurs. It is the oval form range of the slots machine group. It is the container for the available immediately for repays coins. It is considered to be the mechanic device that is meant to rotate the coins into the tray, when the player uses the cash out button. It is the visual display that indicates the amount of cash or credits on the slots. It is the abbreviation to the Electronic Gaming Machine. It is considered to be the document that is used for the coin replenishment in the hopper for coins after it goes depleted after the payouts conduct in modern slots. The slip indicates the quantity of the coins that were put into the hoppers, alongside the signatures of the workers making the transaction, slots number, the date and location. The players have a sit down access to the slots. Unlike, stand up slots are played at while standing. It is the percentage of the payback basing on the gamblers particular strategy. It is considered to be the line straight or in the form of a zigzag that crosses through the image on each reel. It is known to be the dramatizing process of the winnings with the help of sound effects, when the meters calculate up to the number that has been already won. It is the partial repayment conducted by the slots that is less than the amount which is considered to be due to the gamer. It is considered to be the reference to the smaller repays that are paid out in order to keep the gamer betting on slots. It is the switch that all electromechanical machines have. It is designed for the tilted machines and produce alarm in the case the circuit is broken. It is the document given by the manufacturer concerning the theoretical percentage that the slots may hold basing on the amount repaid in.